Amanda Campbell is ready when you are. Ready to get uncomfortable. Ready to share that article on your Facebook feed about why “Black Lives Matter” is necessary. Ready to explain to you why “All Lives Matter” is not. Ready to check you on your white privilege. “I’m so past the warm and fuzzy point,” the 36-year-old mom says, exasperated, as she leans back in the sofa in her Brookside living room. Her husband, Kenton Campbell, 33, who is black, lounges his 6-foot-3 frame on a chaise to her right. Their mixed-race daughter, Jocelyn, 5, with cocoa butter skin and a head full of curls, lies across her lap fiddling with a baby doll. Isaac, 8, their dark-skinned, Haitian-born, adopted son, is in the sunroom around the corner toying with a video game. “When people are like, ‘I don’t want to see (race), I don’t want to hear about it,’ that doesn’t exist for me,” Amanda says. “Post-racial America” can try to be as blithely colorblind as it’d like. That isn’t an option in the Campbell household. 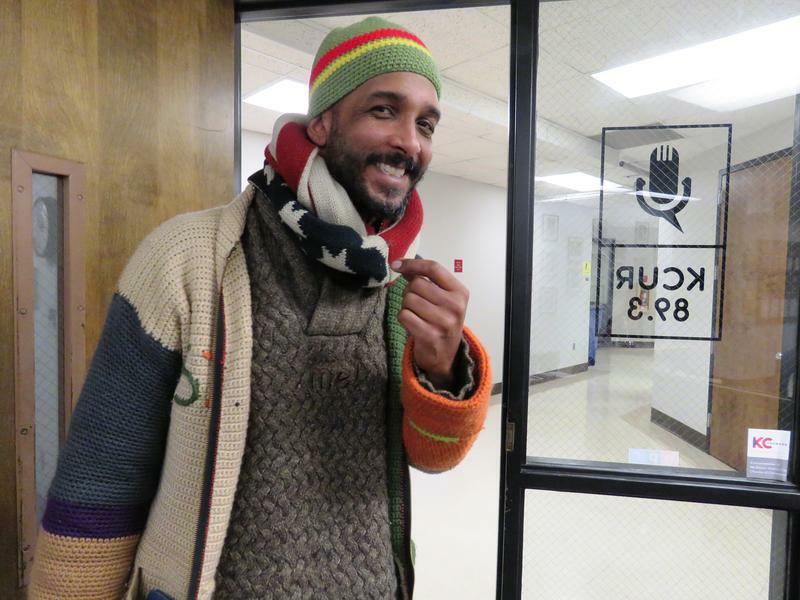 Race permeates the fabric of their existence. That’s when Kenton, feeling his wife about to enter “White Ally” mode, tugged at her arm to reel her back in. The sentiment is understood: If Amanda or any other white person who gets the complexities and struggles of black America doesn’t take the opportunity to educate other whites in casual white-privilege moments, who else will? Listen to the interview (00:30:46) here. Imagine what could happen at Ohio State or UCLA or any other major university. The activists already have. That’s the way Dianne White Clatto imagines that fans from her Channel 5 days think about her–if they think about her at all. Still strikingly attractive at 66, the celebrity best known as Dianne White is a living contradiction: accomplished yet self-deprecating, engaging yet shy, religious yet irreverent. Her career is a study in firsts: White was one of the first African-American students at the University of Missouri. Before the age of 21, she was the first black model for a major St. Louis department store, working for both Stix, Baer & Fuller and Saks Fifth Avenue. Only a few years later, she became the first full-time African-American weathercaster in the nation, at what was then KSD-TV. From the weather map to the anchor desk to live news, reporting from the field, there were few positions she didn’t try during her 26-year television stint. She’s also enjoyed a semiprofessional singing career with the Russ David Orchestra, helped raise bonds to build the Arch and opened 11 Girls Clubs–all while raising a son, marrying three times and maintaining an enviable social life. Her past also includes a bank scandal that resulted in a federal larceny conviction. 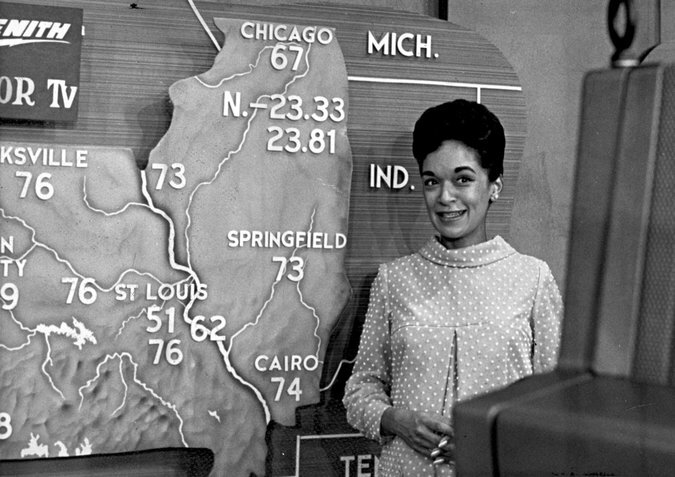 …White was soon ready for her first weathercast, but the question loomed: Was St. Louis in 1962 ready to accept, much less embrace, a black woman on the air? “How are we going to do this Dianne White thing?” she remembers the station’s decisionmakers wondering. “Were they going to offend the people, or the ones the station was more concerned about than the people–the advertisers?” Even as management debated the impact of her on-air presence, White refused to be stereotyped.